An Unbiased Study on Motorcycle Safety in California? Many of the studies on motorcycle safety and motorcycle crash statistics are often criticized by riders groups as biased. Well, a group that actually cares about riding and motorcyclists’ safety is conducting perhaps the most impressive — and meaningful — study on the subject to date. That group is the Motorcycle Safety Foundation, headquartered in Irvine ( Orange County), California. The MSF promotes safety through rider training and education, operator licensing tests and public information programs. 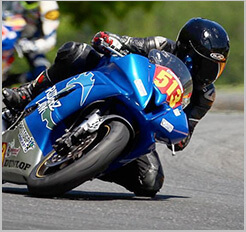 If you’re a biker and you’re not familiar with the Motorcycle Safety Foundation, you should be. As motorcycle accidents lawyers, we are big fans of the hardworking men and women at the MSF. They are on the front lines, teaching proper riding techniques and doing work that saves countless riders’ lives every year. We applaud the MSF’s efforts to promote motorcycle safety, and strongly urge that every motorcycle rider, young or old, take a motorcycle safety course. It could save your life. Various aspects of the motorcycle’s movement. For more information, visit msf-usa.org or call (800) 446-9227. As always, we urge our readers to ride safe and ride smart. We may be motorcycle accident lawyers, but we are also fellow riders, first and foremost. We’d much rather see you on the road than in the courtroom!